Episode 248: ControlTalk NOW — Smart Buildings Videocast and PodCast for Week Ending December 17, 2017 features Ken Sinclair, owner and editor of Automated Buildings, who continues his query into IoT and the building automation industry. Be sure to cast your votes for the 2017 ControlTrends Awards! Use the voting link below. ACI’s Gas Sensor Tech Tip and Marketing Video; Johnson Controls’ Verasys delivers Competitive Advantage; EasyIO FW-14 — a New Breed of High Performance, Freely Programmable, Wireless Controllers; J2 Innovations’ Gerald Huff nominated forTrainer of the Year, and more. This is Your 2017 ControlTrends Awards Finalist Voting Ballot! This is Your 2017 ControlTrends Awards Finalist Voting Ballot! You can only vote once, but feel free to send the 2017 ControlTrends Awards Voting Link to your community for them to vote as well. Your name and email provide additional safeguards to assure the voting is fair, and to make sure you are emailed links to future ControlTrends Awards events. Happy Belated 3D Printing Day! Congress Declares December 3rd “3D Printing Day.” As 3D printing, alias additive manufacturing, becomes more pervasive, when and where will it enter the Building Automation and HVAC industry and how will it impact us? 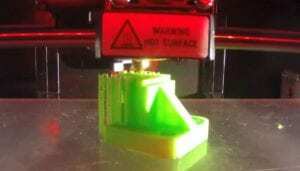 Forget fulfillment centers and overnight shipping, your local distributor will 3D print your parts while you wait. Largest 3D markets so far: commercial and military aircraft parts, GE nozzles, Ford automobile parts, Nike football cleats, jewelry, toys, and dolls. Wonder who will make the first 3D thermostat? 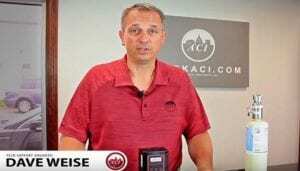 ACI Tech Tips – How to Bump Test a Q5/B5 Gas Sensor. Sensors need to be checked and maintained on a periodic basis, especially gas sensors. ACI’s Tech Support Engineer Dave Weise shows us how to Bump Test the Q5/B5 Gas Sensor. The Q5 Series is a microprocessor based “smart” gas transmitter and the B5 Series is a BACnet® enabled, microprocessor based “smart” gas transmitter. Happy Holidays and a Great New Year’s Wish from Lynxspring. All of us at Lynxspring want to wish you and yours a very safe and Happy Holiday season and wish you a very prosperous and Happy New Year, too! It has been a very busy year for us and our thanks go out to all of our Lynxspring Business Partners. We have decided it is time to start celebrating the Holidays and to take this month off from having our December 30 Minutes with Lynxspring, our monthly webinar series hosted by Lynxspring subject matter experts and special guests! 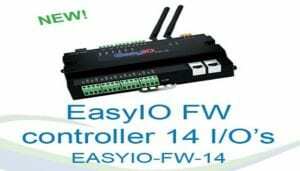 EasyIO’s FW-14 — A New Breed of High Performance, Freely Programmable, Wireless Controllers. The EasyIO-FW-14 is a new breed, high performance, freely programmable, wireless Wi-Fi Sedona controller. It has never been easier to extend your BMS because of its wireless possibilities.You will save on labor and wiring. The EasyIO-FW-14 is a perfect fit for vertical markets such as schools and retail, to have extended IO for the F-series controllers, without any downtime during installation as the network can be wireless. It’s ideal for all kind of applications such as fan coils, AHU’s, room and stand-alone applications, featuring SOX, TCOM, FGP2P and BACnet communication protocols. 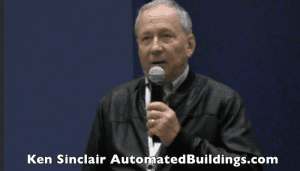 ControlTalk NOW special guest, Ken Sinclair, owner and editor of Automated Buildings. Ken provides unique insight to his December theme #RUIoTReady — and then discusses IoT’s impact to our industry. What is IoT? Why should I care? What does “Ready” mean? Do not overwhelm yourself with worry, because Ken clearly states the moral of his December theme editorial: “As an industry, we need to stop the waste of time in this creation of them and us, we are all in this together, it is not a war, it is a love-in “for Human-Centric Solutions.” Read Ken’s complete editorial. Meet ControlTrends Awards Finalist for Trainer of the Year — Gerard Huff. As we are in the final phase of voting for the 2017 ControlTrends Awards, vendors are submitting media for ControlTtends to post to help promote their finalist. 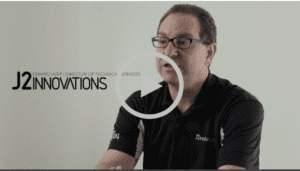 In this video, from J2 Innovations, meet Gerard Huff, Director of Technical Services and finalist for the 2017 ControlTrends Trainer of the Year. Gerard manages the development and delivery of technical training and documentation. He teachs HVAC, Building Automation, and IoT Solutions. He’s been all over the world this year training End Users and System Integrators, and also training J2 OEM trainers through their Train the Trainer program. Check out ACI’s Video for The 2017 ControlTrends ControlTrends Most Impactful Marketing Collateral of the Year Award. 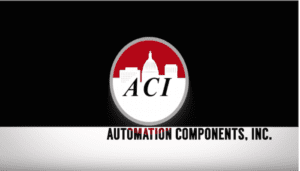 Check out this video from ACI. 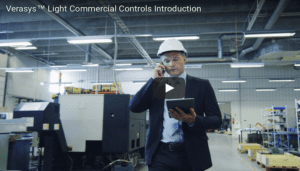 It is a great example of the quality work from the marketing teams that made the finals for the ControlTrends Awards Most Impactful Marketing Collateral (Video, Product Rollout, etc…) of the Year. If you would liketo see more go to the ControlTrends Awards Voting ballot and check out all our finalists and vote! Check out Johnson Controls‘ entry into the 2017 ControlTrends Awards Most Impactful Marketing Collateral of the Year Award. Not only has Johnson Controls created a formidable entry into the RACE TO THE SMALL SPACE AWARD, with the Verasys™ light commercial control system,their stellar marketing team has created a wonderful video showing off the new system,which makes them a prime contender in the ControlTrends Awards Most Impactful Marketing Collateral (Video, Product Roll out, etc…) of the Year. 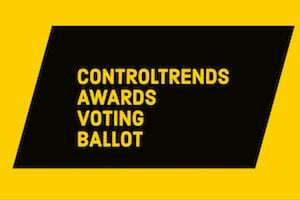 If you would like to see more go to the ControlTrends Awards Voting ballot and check out all our finalists and vote! 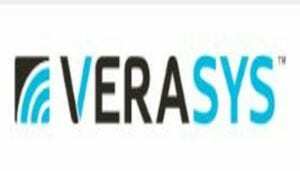 Johnson Controls — Maintaining Your Competitive Advantage with New Verasys™ Features — Dec 19, 2017, 1:00PM CST. Verasys™ is leveraging smart equipment technology in a way that not only sets the building controls system apart from its competitors, but also supports the contractors’ and building owners’ overarching goals: ease of installation and reduced operating costs. Join us for a one-hour webinar on December 19 at 1:00pm CST to get a glimpse of the recently enhanced simple user interface and see a live demo of the new spaces view. KMC Genius Summit: Bring More of Your Team! 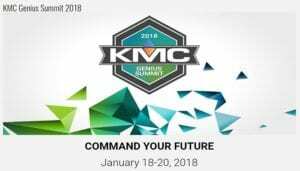 Space is limited for the KMC Genius Summit breakout sessions, so go into the app, sign in and add the sessions you want to attend to your schedule. To get the app, pull up this email on your phone, click the button below, and follow the onscreen instructions. Sign Up For Your Sessions Now!